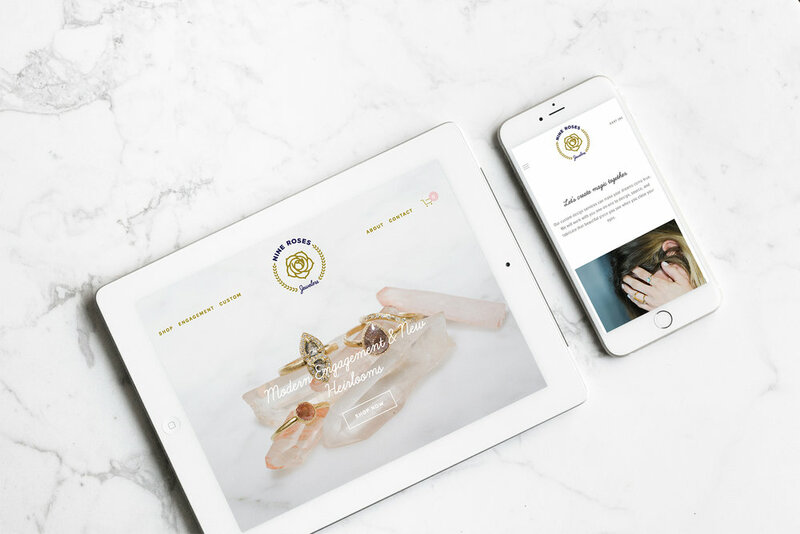 Nine Roses Jewelers – Design Story — Campfire & Co.
Nine Roses is a meticulously curated jewelry shop and lifestyle brand that values the intimate connection between individuals and their adornment. Nine Roses believes in modern techniques rooted in tradition and sacred beauty. Seeking to live beyond the ordinary, Nine Roses is inspired by transformation, spontaneity, and an ever growing sense of wonder. Nick DeRosa and Eliza Spell have 16 years of combined experience in the jewelry industry, including a successful jewelry collection, teaching at the Denver School of Metal Arts, and education backgrounds in sculpture and jewelry design from VCU School of the Arts and New Approach School for Jewelers. 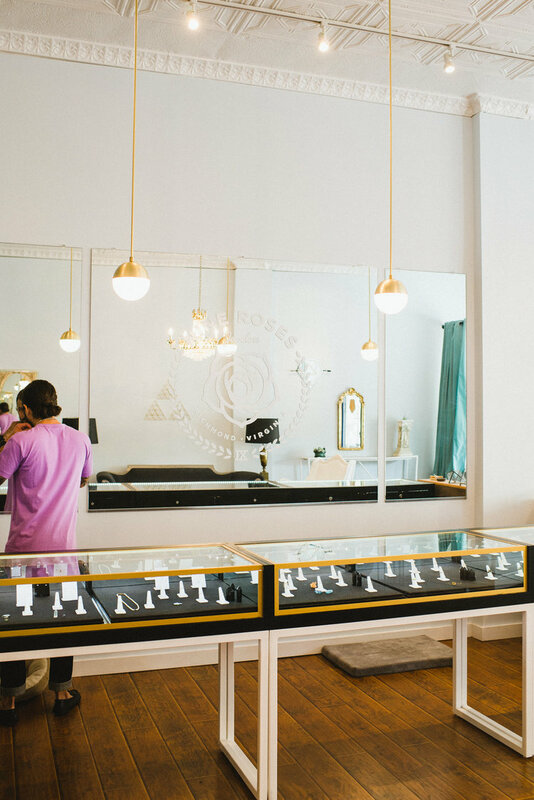 Disheartened by the lack of modern, non-traditional jewelry in Richmond, Nick and Eliza launched Nine Roses Jewelers with a vision to provide an exceptional in-store experience for individuals to discover and experience truly unique adornment. Campfire & Co. helped Nine Roses create their brand strategy, design a visual identity, website and online shop, develop a marketing plan, and translate their identity into a dynamic interior environment - creating a one of a kind brand experience for the Nine Roses customer. Also, check out JCK Magazine's interview with Nine Roses Jewelers here.